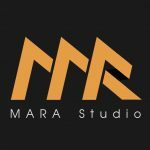 This is Chinh from MARA Studio. We are an innovative outsourcing 2D Drafting and 3D Modeling services studio in Vietnam. We specialize in service as follows: 2D Drafting, Revit Detailed Design, 3D Modeling by Revit Architecture, Animation by Lumion and 3D Renderings, 3D Modeling by Sketch Up. We have been directly involved in the design of projects in the US, UK, UAE, Australia, etc. with competitive price. We are eager to have a chance to work with you. Thank you for your time and consideration. Looking forward to your reply.